Sometimes skin needs an extra dose of nourishment. Our serums, facial oils and specialty products provide just that, correcting, protecting and evening out unbalanced skin. They give the skin a strong foundation to be its most beautiful, healthy self. Any type of issue, from sun-damage, aging or acne-prone conditions don't have a chance against these powerhouse treatments. A lotion formulated for the treatment of mild to moderate acne. Benzoyl Peroxide causes a peeling action and loosens impactions, it creates an unfriendly environment for the bacteria that causes acne. 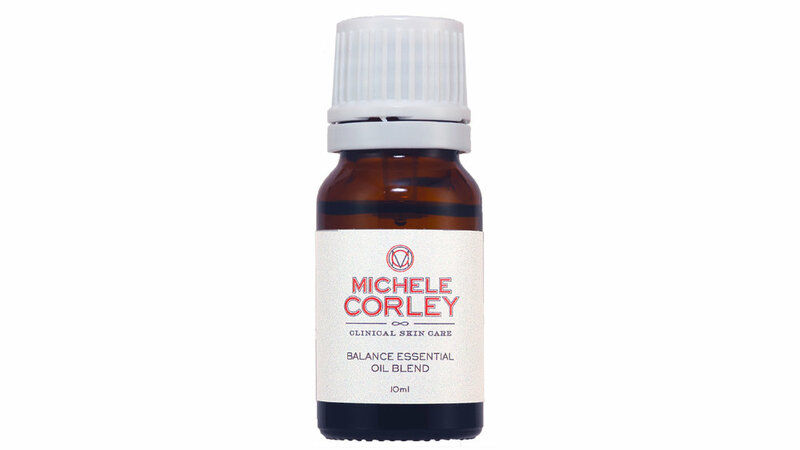 Balance Essential Oil Blend is a synergy of lavender, lemon, rosemary, thyme and geranium essential oils. The aroma aids the body in achieving an over-all feeling of peace, and encourages feelings of emotional security. Lavender Oil (Lavandula angustifolia): The "universal oil"- antiseptic; relieves and heals skin irritations. Calming; antidepressant; promotes clarity; enhances intuition; soothing; balancing. Lemon Oil (Citrus limon): Stimulating tonic; alleviates oily skin. Energizing; clears mind; depression reliever; refreshing; strengthening. Rosemary Oil (Rosmarinus officinalis): Skin rejuvenator; general stimulant; invigorating; reduces mental strain and fatigue; promotes confidence by minimizing anxiety. Thyme Oil (Thymus vulgaris): Antibacterial, Antifungal, Antioxidant, Antiparasitic, Antiseptic, Stimulant, Calming, Immuno-stimulant,. Geranium Oil (Pelargonlum graveolens): Analgesic, Antibacterial, Antidepressant, Anti-inflammatory, Antiseptic, Astringent, Fungicide, Sedative, Stimulant, Anti-depressant. The perfect daily solution to help balance acne-prone, oily and congested skin. Natural exfoliating AHA’s and Salicylic Acid declogs pores and assists in prevention of future breakouts. Salicylic Acid: Beta Hydroxy Acid Keratolytic; helps to declog pores; anti-bacterial. Lactic Acid: Alpha Hydroxy Acid derived from milk. Skin resurfacer. 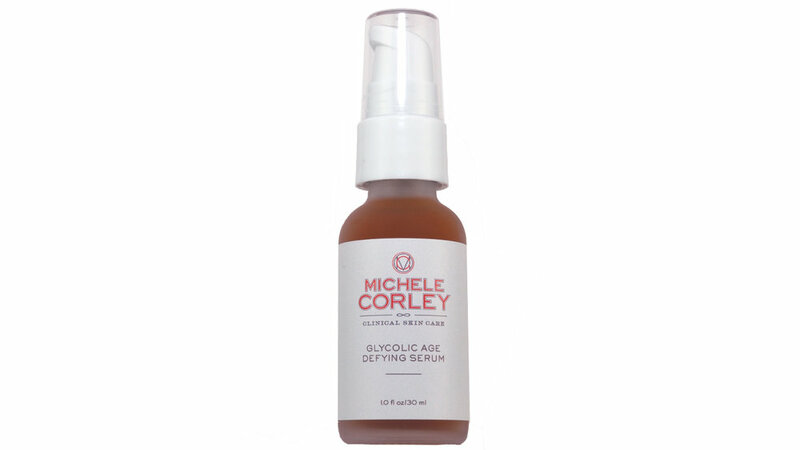 Glycolic Acid: Alpha Hydroxy Acid derived from sugar cane. Anti-aging skin resurfacer. Glycyrrhiza Glabra (Licorice) Extract: Soothing molecule derived from licorice. Helps keep skin calm, acts as an anti-inflammatory. A combination of richly nourishing and calming oils. Designed for all skin types and conditions. All oils in this product are cold pressed to retain the vital nutrients. Kukui Nut Oil: Cold pressed seeds and kernels. It is excellent for dry skin, psoriasis, eczema or any severe skin condition. Calming serum alleviates redness, and soothes sensitive skin. A unique combination of preventive botanicals and potent antioxidants calm and prevent future signs of irritation, while Horse Chestnut fortifies and strengthens. Horse Chestnut Extract: Protects and strengthens veins and capillaries; shown to prevent cellular filtration. Vitamin E: An anti-oxidant, preventing destruction of the lipid part of the cell membranes. Besides promoting the healing of damaged skin and reducing aging, it also helps to preserve the other vitamins in the formula. Camellia (White) Sinensis Leaf Extract: Calming, soothing, traps free radicals that damage the skin. A light weight AHA/BHA serum that helps correct the look of ageing by minimizing the appearance of fine lines and wrinkles. 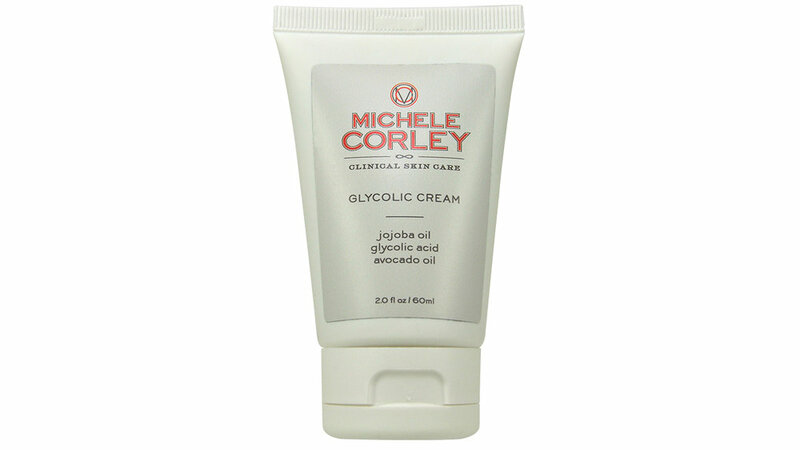 Glycolic Acid: Alpha Hydroxy Acid derived from sugar cane. Anti-aging skin resurfacer used for exfoliation. Allantoin: Helps keep skin calm, acts as an anti-inflammatory. This remarkable anti-aging AHA exfoliating cream diminishes the look of discoloration, age-spots and other forms of hyperpigmentation, while retexturizing and reducing the look of lines and wrinkles. The peeling action helps soften visible scarring and alleviate impacted pores. Glycolic Acid: Alpha Hydroxy Acid derived from sugar cane. Anti-aging skin resurfacer used for peeling/exfoliating dead skin. Jojoba oil: A lightweight waxy oil that is strikingly similar to human sebum. Able to effectively penetrate the skin, it is a natural cellular renewal agent as well as an excellent moisturizer. Avocado Oil: Rich in vitamins and minerals. An excellent skin conditioner and moisturizer. Three unique forms of hyaluronic acid help replenish the moisture content of aging and environmentally exposed skin; smoothing the look of fine lines and restoring youthful radiance. Intense hydration increases the skin’s ability to retain moisture. Hyaluronic Acid: Water binding, lubricating, protective agent capable of attracting up to 1,000 times its weight in water from moisture in the air. This product utilizes three different molecular weights of hyaluronic acid which provides ultimate hydration and plumping for the skin. Hyaluronic acid is a polysaccharide found naturally in every tissue of the body. It is the natural gel between skin cells that serves as a water reservoir for the cells. Panthenol: Deeply hydrating. Its moisturizing properties improve stratum corneum hydration, reducing transepidermal water loss and therefore help to maintain skin elasticity and softness. Allantoin: Anti-inflammatory, helps alleviate and prevent irritated skin. Licorice Root is a multi-functional botanical, whose chief components include the glycosides glycyrrhizin and glycyrrizinic acid, triterpene saponins and flavonoids. Recent research indicates Licorice Root Extract shows promise as a soothing ingredient for the relief of eczema. Studies have shown it may be of benefit in skin lightening as it contains liquiritin and isoliquertin, flavonoid containing glycosides which induce skin lightening by dispersing melanin pigment and enhancing more even pigment distribution. Glycrrhiza Glabra (Licorice) Root Extract: ultra calming and skin brightening herb. Matricaria Recutita (Chamomile) Flower Extract: Anti-inflammatory, helps alleviate and prevent irritated skin. A luxurious Treatment Oil that helps to nourish and hydrate the skin with its natural blend of rich oils and vitamins. Leaves the skin feeling soothed and moisturized with a non oily after feel. Vitamin E: Penetrates the stratum corneum and maintains moisture levels of the skin for long periods of time (16-24 hours). Accumulates in the epidermis and forms a barrier against moisture evaporation from the skin. It is an anti-oxidant that helps prevent free radical damage in the skin tissues. Acts as a preservative for other oils. A velvety feeling serum that helps protect the skin while letting it breath, smoothes rough porous skin, and fine surface lines. The perfect base for makeup. Lavender Oil (Lavandula angustifolia): The "universal oil"- antiseptic; relieves and heals skin irritations. Calming; antidepressant; promotes clarity; enhances intuition; soothing; balancing..
Purifying Oxygen Lotion is a light-weight lotion idealfor oily, congested and blemish-prone skin. This lotion gently exfoliates, detoxifies and removes impurities, leaving skin smooth, clear and bright, while reducing oil production and killing bacteria to help clear breakouts. Hyrdrogen Peroxide: Improves the skin's vitality, oxygenates the skin. Decongests and purifies clogged pores. Lavendar Oil: The most versatile of essential oils; has antiseptic, analagesic, bactericide, decongestant properties. Canola Oil: Plant lipid that has barrier repair and anti-imflamatory properties. A luxurious facial gel that utilizes an abundance of powerful ingredients, leaves the skin feeling replenished and renewed. Loads of Peptides, three molecular weights of Hyaluronic Acid and Swiss Apple Stem Cells help prevent and diminish the appearance of fine lines, wrinkles, and sagging, while deeply hydrating the skin. With consistent use skin will appear youthful, refreshed and more vibrant. SYN®-COLL (Palmitoyl Tripeptide): A peptide designed to stimulate the skin's natural mechanism to produce collagen. It is based on a small peptide developed to reduce any type of wrinkles. Clinical trials it is capable of reducing and changing the type and aspect of wrinkles that add years to your appearance. Clinical research showed the ability to reduce all types of wrinkles and have a smoothing effect on the skin. 12% reduction after 8 weeks at a 2.5 % dosage. Vitamin C Powder creates noticeably younger looking skin by, diminishing the appearance of fine lines, wrinkles, and hyper-pigmentation. L-Ascorbic Acid powder is highly stable readily usable by the skin. L Ascorbic Acid Powder: Form of vitamin C that is a potent antioxidant and anti-inflammatory agent. 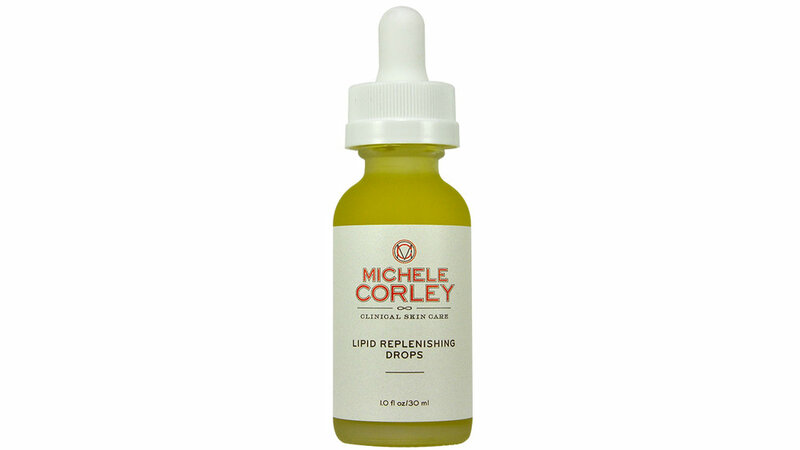 Alpha-Lipoic Acid: Antioxidant that helps convert Vitamin C to ascorbic acid in collagen synthesis. Vitamin C Powder Activator is very rich in anti-oxidants and hydrants. When mixed with Vitamin C Powder, skin becomes smoother, color is more even and lines and wrinkles visibly soften. Loaded with essential vitamin C and hyaluronic acid, Vitamin C Serum Plus is designed to support natural collagen production, brighten, smooth, firm, and improve the appearance of uneven skin tone along with fine lines and wrinkles. Magnesium Ascorbyl Phosphate: a stable, water soluble derivative of Vitamin C (L-Ascorbic acid mono-dihydrogen phosphate magnesium salt). Magnesium Ascorbyl Phosphate will be transformed by skin enzymes into Ascorbic Acid (vitamin C). It functions as an anti-oxidant, helps improve skin elasticity and decrease wrinkles through stimulation of collagen synthesis. It also promotes even skin tone by helping to inhibition melanocyte over stimulation. Vitamin C also strengthens skin’s barrier response, and reduces inflammation. Niacinamide (Vitamin B3): The active form of Vitamin B3 (also known as Nicotinic Acid). Niacinamide offers multiple benefits for the skin, it can improve skin’s elasticity, dramatically enhance barrier function, help erase discolorations, reduce blemishes, dissipate red blotchiness, and revive skin’s healthy tone and texture.